A breathtaking statement of contemporary urban living in one of London's best connected and emerging riverside neighbourhoods. 1 & 2 bedroom private apartments designed to an exceptionally high standard by the internationally celebrated Yoo Design Team. With two extensive gardens in the sky, the apartments also benefit from their own winter gardens from which to enjoy the panoramas of London. However, from time to time we would like to contact you with details of other residential developments which may be of interest to you. We'll always treat your personal details with the utmost care and will never sell them to other companies for marketing purposes. If you consent to us contacting you for this purpose, please tick the associated box so we can contact you accordingly. 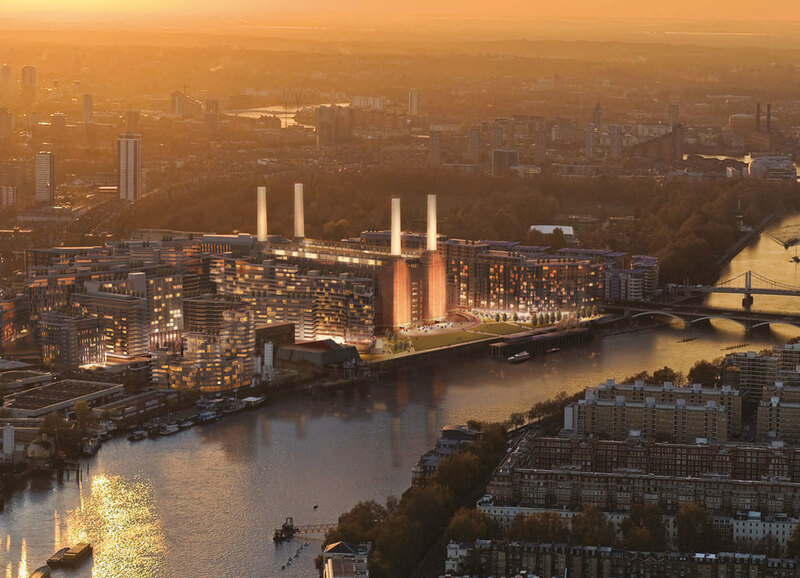 Located amidst the Nine Elms district that includes the new American Embassy and Battersea Power Station, with fashionable Chelsea across the river and spectacular views extending towards Westminster and the City, Sky Gardens is a statement lifestyle. A NUMBER OF HIGH PROFILE RESIDENTS ARE DUE TO MOVE THEIR HEADQUARTERS TO WHAT IS ARGUABLY THE MOST EXCITING NEW DISTRICT IN CENTRAL LONDON. THIS INCLUDES THE UNITED STATES AND NETHERLANDS EMBASSIES, FAVOURING THE SPACIOUS AND CONTEMPORARY ENVIRONMENT AFFORDED BY THE NEW NINE ELMS, OVER THEIR CURRENT PRIME MAYFAIR AND KENSINGTON ADDRESSES. One of the world’s most iconic architectural works, Battersea Power Station, which borders Nine Elms to the west, sits at the forefront of the area’s regeneration and is currently being transformed into a cultural hub for arts and entertainment, complete with new homes and public spaces, alongside the 200 acre green expanse of Battersea Park. Also ripe for transformation is Vauxhall’s New Covent Garden Market, colloquially known as London’s larder, which will open up to hundreds of stores and traders and attract shoppers and tourists, rivalling existing popular local fare and farmers’ markets at Borough and Pimlico. Each apartment is a unique example of highly liveable, considered and visually stunning contemporary design. 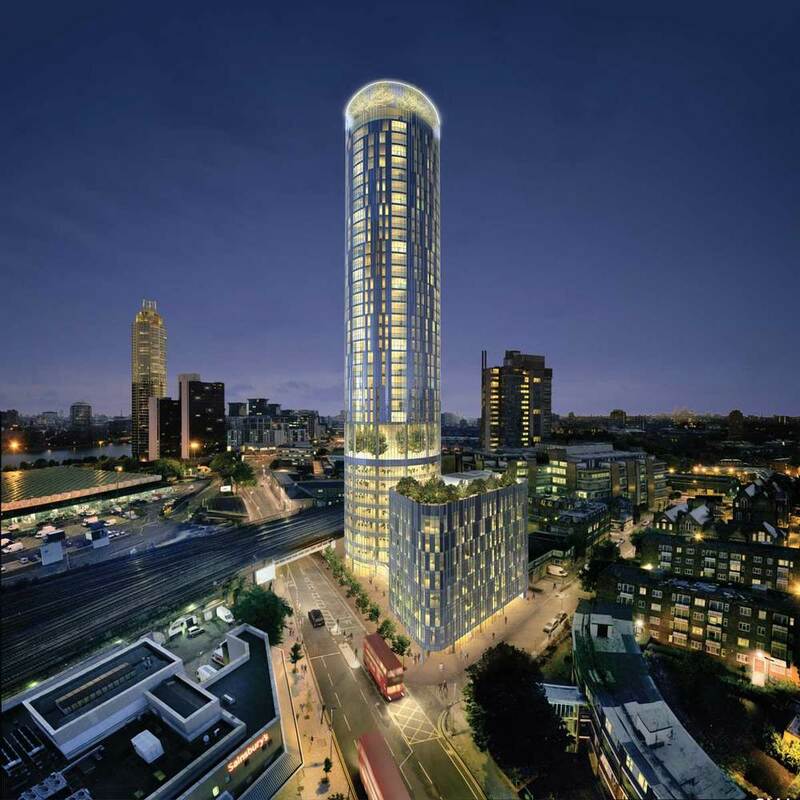 Residents of Sky Gardens Nine Elms can enjoy a special level of onsite service from their 24 hour concierge. A dedicated team of familiar faces will be on hand to offer a wide selection of services, from everyday necessities, such as cleaning, laundry services and arranging deliveries or transport, to special requests, including reservations for travel and entertainment, along with providing a wealth of information on the very best places to eat, drink, shop and relax in the local area. Sky Gardens Nine Elms boasts an array of totally unique characteristics, though none more striking both inside and out than the two-storey high communal gardens situated on the 8th floor and at roof top. These sublime, organic spaces are open exclusively to residents and their guests, for daytime relaxation, watching the sunset over the capital or after dark entertainment. 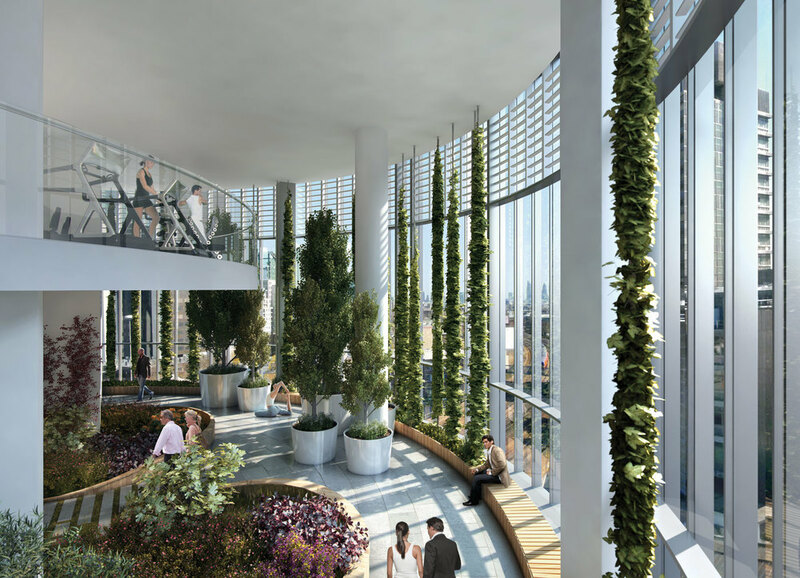 Sky Gardens Nine Elms will also house a private residents’ gymnasium. Overlooking the 8th floor gardens, this private leisure club will offer one of the most unusual and dramatic enviroments in the capital. It is anticipated that the state of the art fitness centre will comprise a range of the latest equipment, including free weights and machines for varying types of resistance and cardiovascular training at all levels of fitness.